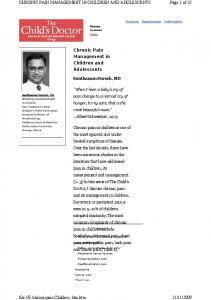 Chronic Pain Management This document was endorsed by the American Academy of Family Physicians (AAFP). Introduction This Curriculum Guideline defines a recommended training strategy for family medicine residents. Attitudes, behaviors, knowledge, and skills that are critical to family medicine should be attained through longitudinal experience that promotes educational competencies defined by the Accreditation Council for Graduate Medical Education (ACGME), www.acgme.org. The family medicine curriculum must include structured experience in several specified areas. Much of the resident’s knowledge will be gained by caring for ambulatory patients who visit the family medicine center, although additional experience gained in various other settings (e.g., an inpatient setting, a patient’s home, a long-term care facility, the emergency department, the community) is critical for well-rounded residency training. The residents should be able to develop a skillset and apply their skills appropriately to all patient care settings. Structured didactic lectures, conferences, journal clubs, and workshops must be included in the curriculum to supplement experiential learning, with an emphasis on outcomes-oriented, evidence-based studies that delineate common diseases affecting patients of all ages. Patient-centered care, and targeted techniques of health promotion and disease prevention are hallmarks of family medicine and should be integrated in all settings. Appropriate referral patterns, transitions of care, and the provision of costeffective care should also be part of the curriculum. Program requirements specific to family medicine residencies may be found on the ACGME website. Current AAFP Curriculum Guidelines may be found online at www.aafp.org/cg. These guidelines are periodically updated and endorsed by the AAFP and, in many instances, other specialty societies, as indicated on each guideline. Each residency program is responsible for its own curriculum. 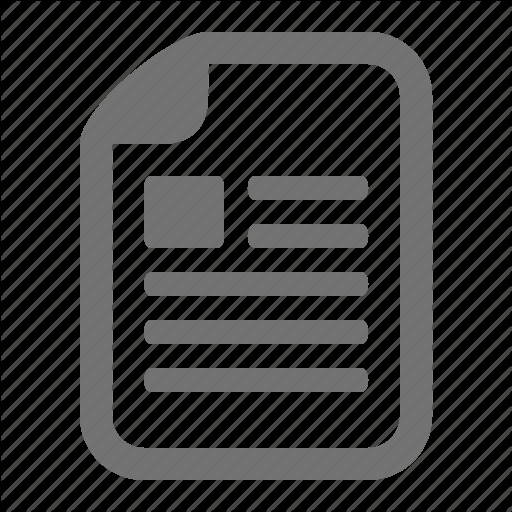 This guideline provides a useful strategy to help residency programs form their curricula for educating family physicians. practices. This can be achieved by determination of an accurate diagnosis, adherence to standardized guidelines, proper documentation, and systematic detection of and response to aberrant patient behaviors. Focus should be placed on preventing the inappropriate transition from acute to chronic opioid therapy and avoiding COT altogether when other alternatives for treating pain may be equally effective and less harmful. Finally, residents must be trained to safely taper patients off of COT when it is determined to no longer be appropriate. This Curriculum Guideline provides an outline of the competencies, attitudes, knowledge, and skills that should be among the objectives of training programs in family medicine, thereby leading to the safe and appropriate management of chronic pain by family physicians in the future. i. ii. iii. iv. v. vi. Implementation The curriculum should be structured as a combination of didactic presentations, workshops, reading materials, web-based modules, case conferences, and chart reviews. Since pain management occurs in a variety of settings throughout training, the curriculum is well-suited to a longitudinal structure. In addition to the components listed above, faculty should model effective pain and systems management in the family medicine center. The residency website can be used to host didactic content, calendars, tests, patient-care resources and tools, and opportunities for advanced training. Resources Agarin T, Trescot AM, Agarin A, Lesanics D, Decastro C. Reducing opioid analgesic deaths in America: what health providers can do. Pain Physician. 2015;18(3):E307-322. American Society of Anesthesiologists Task Force on Chronic Pain Management, American Society of Regional Anethesia and Pain Medicine. Practice guidelines for chronic pain management: an updated report by the American Society of Anesthesiologists Task Force on Chronic Pain Management and the American Society of Regional Anesthesia and Pain Medicine. Anesthesiology. 2010;112(4):810-833. http://www.asahq.org/.../practice-guidelines-for-chronic-pain-management/en/1. Accessed June 2015. Bilsker D, Samra J, Goldner E. Positive coping with health conditions: a self-care workbook. Vancouver, BC: Consortium for Organizational Mental Healthcare; 2009. http://www.comh.ca/publications/resources/pub_pchc/PCHC%20Workbook.pdf. Accessed June 2015. Butler D. Explain Pain. 2nd ed. Adelaide City West, Australia: NOI Group; 2013. Chan BK, Tam LK, Wat CY, Chung YF, Tsui SL, Cheung CW. Opioids in chronic noncancer pain. Expert Opin Pharmacother. 2011;12(5):705-720. Chou R, Fanciullo GJ, Fine PG, et al. 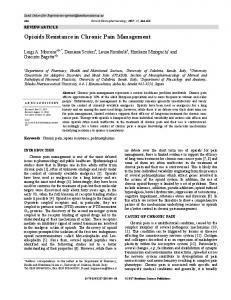 Clinical guidelines for the use of chronic opioid therapy in chronic noncancer pain. J Pain. 2009;10(2):113-130. Darlow B, Dowell A, Baxter GD, Mathieson F, Perry M, Dean S. The enduring impact of what clinicians say to people with low back pain. Ann Fam Med. 2013;11(6):527-534. Dunn KM, Saunders KW, Rutter CM, et al. Opioid prescriptions for chronic pain and overdose: a cohort study. Ann Intern Med. 2010;152(2):85-92. Federation of State Medical Boards. Model policy on the use of opioid analgesics in the treatment of chronic pain. July 2013. http://www.fsmb.org/Media/Default/PDF/FSMB/Advocacy/pain_policy_july2013.pdf. Accessed June 2015. Hooten WM, Timming R, Belgrade M, et.al. Assessment and management of chronic pain. Updated November 2013. https://www.icsi.org/_asset/bw798b/ChronicPainInteractive1111.pdf. Accessed June 2015. Hudson S, Wimsatt L. How to monitor opioid use for your patients with chronic pain. Fam Pract Manag. 2014;21(6):6-11. Kerns R, Sellinger J, Goodin BR. Psychological treatment of chronic pain. Annu Rev Clin Psychol. 2011; 7:411-434. Manchikanti L, Vallejo R, Manchikanti KN, Benyamin RM, Datta S, Christo PJ. Effectiveness of long-term opioid therapy for chronic non-cancer pain. Pain Physician. 2011;14(2):E133-E156. McCarberg BH. Pain management in primary care: strategies to mitigate opioid misuse, abuse, and diversion. Postgrad Med. 2011;123(2):119-130. Reuben DB, Alvanzo AA, Ashikaga T, et al. National Institutes of Health Pathways to Prevention Workshop: the role of opioids in the treatment of chronic pain; Ann Intern Med. 2015;162(4):295-300. Sehgal N, Manchikanti l, Smith HS. 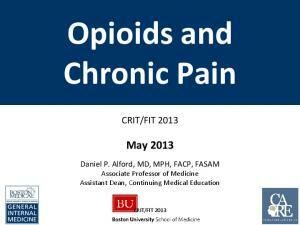 Prescription opioid abuse in chronic pain: a review of opioid abuse predictors and strategies to curb opioid abuse. Pain Physician. 2012;15(3 Suppl):ES67-E92. 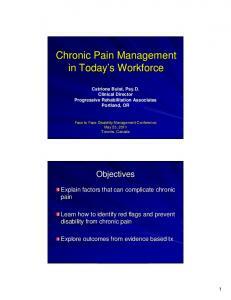 Smith BH, Torrance N. Management of chronic pain in primary care. Curr Opin Support Palliat Care. 2011;5(2):137-142. Solomon DH, Rassen JA, Glynn RJ, et al. The comparative safety of opioids for nonmalignant pain in older adults. Arch Intern Med. 2010;170(22):1979-1986. Thorson D, Biewen P, Bonte B, et al. Acute pain assessment and opioid prescribing protocol. January 2014. https://www.icsi.org/_asset/dyp5wm/Opioids.pdf. Accessed June 2015. Toombs JD, Kral LA. Methadone treatment for pain states. Am Fam Physician. 2005;71(7):1353-1358. Upshur CC, Bacigalupe G, Luckmann R. “They don’t want anything to do with you”: patient views of primary care management of chronic pain. Pain Med. 2010;11(12):1791-1798. Washington State Agency Medical Directors’ Group (AMDG). Interagency guideline on prescribing opioids for pain: written for clinicians who care for patients with pain. 3rd ed. June 2015. http://www.agencymeddirectors.wa.gov/Files/GuidelineMaster041615ForPubComment. pdf. Accessed June 2015. Waters D, Sierpina VS. Goal-directed health care and the chronic pain patient: a new vision of the healing encounter. Pain Physician, 2006;9(4):353-360.